As part of our drive to modernise the workshop, yesterday saw the replacement of the decrepit old roller shutter with a brand spanking new one. 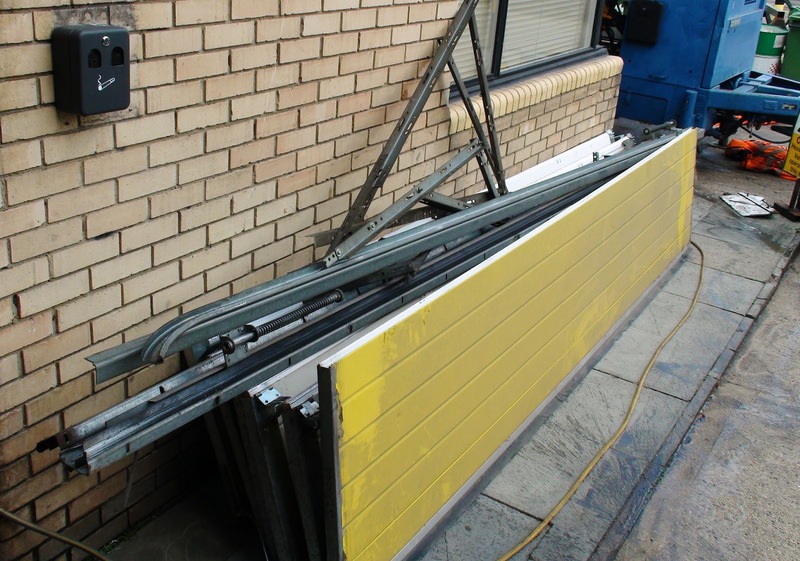 The battered old manual door (now a pile of scrap - pictured left) which took up extra space poking horizontally into the workshop when open has now been replaced with an all singing, all dancing (well all rolling anyway) new version (pictured right), bring us rolling into the 21st century, at least as far as entrance to the workshop is concerned. 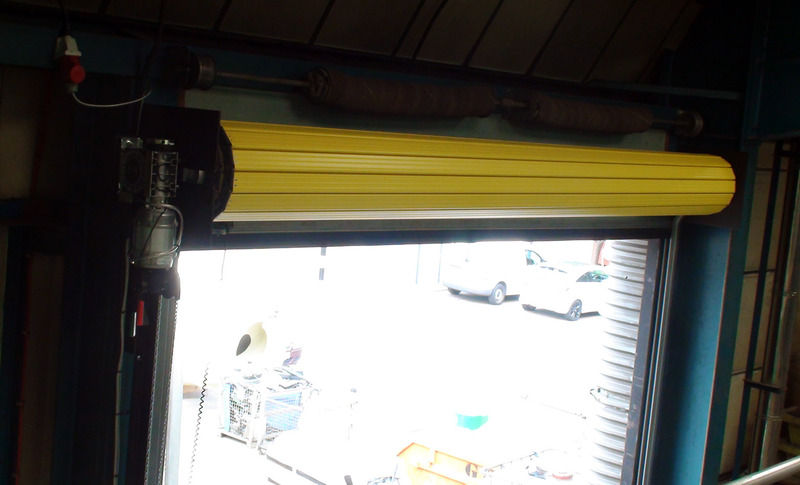 "does the new roller door in the workshop have anything to do with the tricks with the 36X a few weeks ago?" He was of course referring to the demonstration of the flexibility of the boom on a Schwing S36X as shown here. The answer is of course no! Our engineers are quite adept at manoeuvring large pieces of equipment about and pump booms is one of their specialities - as you would expect! 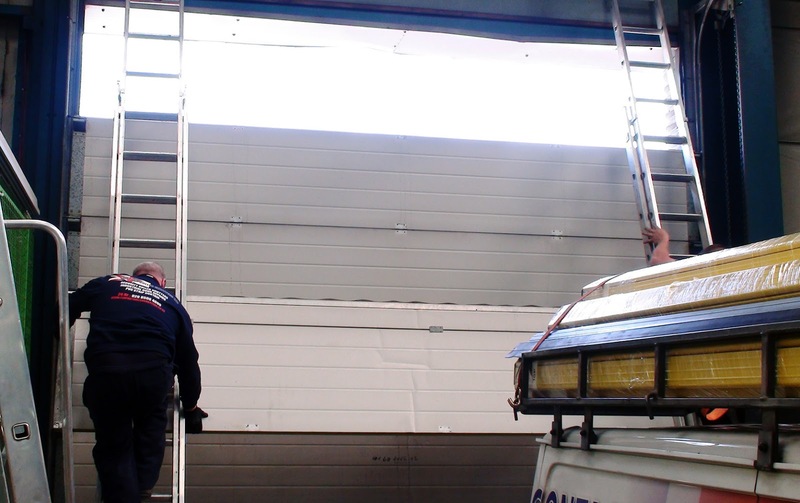 The old roller door has needed to be replaced for quite a while. It was costing money in maintenance and repairs and it's time had come.